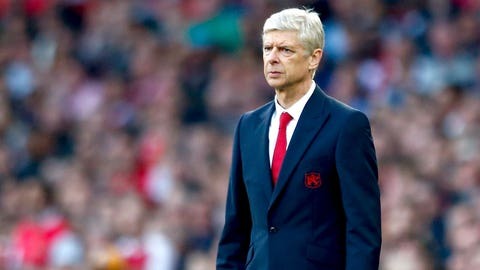 Arsenal manager Arsene Wenger is preparing his side to face Bundesliga giants Bayern Munich on Tuesday. Arsenal have no choice but to attack Bayern Munich at the Emirates on Tuesday, according to manager Arsene Wenger. Champions League defeats to Dinamo Zagreb and Olympiakos mean Arsenal almost certainly need to take points from a double-header against Bayern if they are to avoid a group-stage exit for the first time in 16 years. The Bundesliga champions make the trip to London on the back of 12 straight wins, but Wenger believes Arsenal’s own recent performances have given them the confidence to pull off a result. "We are now in a position where we can focus really and give everything on Tuesday night," Wenger said after a 3-0 win at Watford made it three wins and 11 goals from three Premier League games. That result had pundits discussing the possibility of a title challenge this season, but the immediate priority is a Bayern side that has twice eliminated Arsenal from the Champions League in the past three seasons. "I will have to see how we prepare for this game now and decide what we really want to do," added Wenger. "The confidence level is there, the required result is there as well, because we know exactly what is needed – a 0-0 is not even a good result. To score goals, we have to attack. "What we want to do is play up to our level, because that will be needed – we play against a big team. "We feel a bit that the pain inflicted [in Europe] was a bit by ourselves, maybe subconsciously we thought, ‘Anyway we will win these’. Now to correct that we need a great performance."